My First Design Wall of the New Year, finds me working on Bonnie Hunter's Grand Illusion, which was reveled on New Years Day. This also happens to be my UFO for January and hope to have it finished up in time for the Parade over at 52 Quilts. 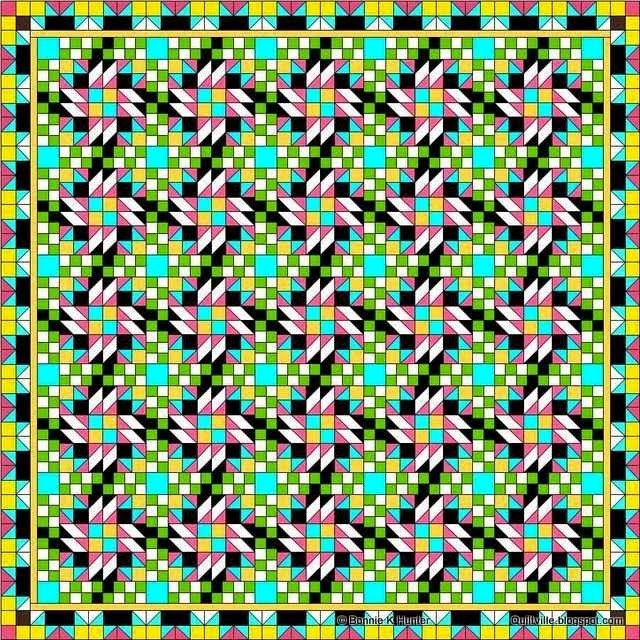 Image of finished quilt. I love all the movement. 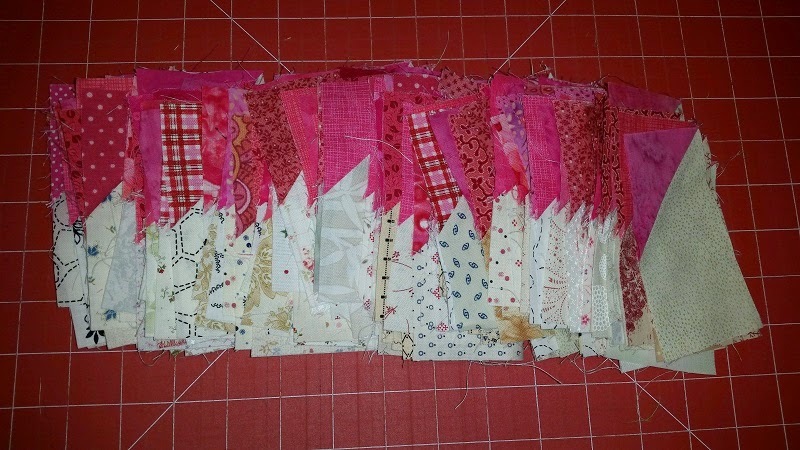 I have a bit more sewing to do with some of the units, before I get to putting the blocks together, but making progress. Will see how far I can get by the end of the week. Half of the chevron units waiting for the black to be added. 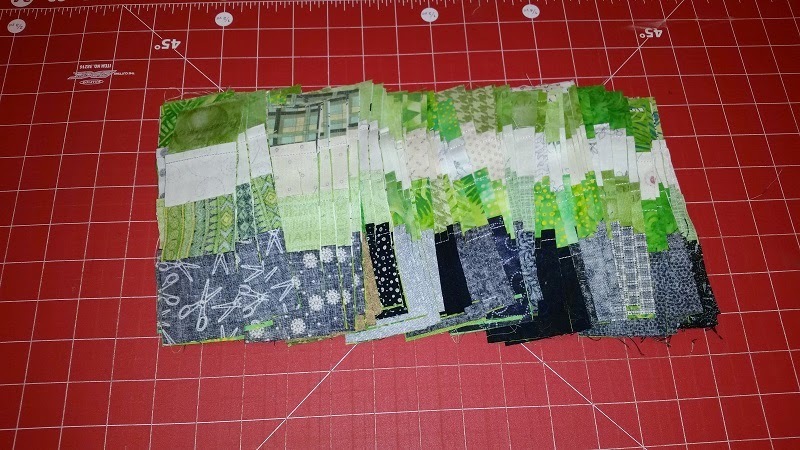 Green Checkerboard units to be sewn together. Happy Sewing and have a great week!